In a press release isued December 15, 2015 - ASCAP, the American Society of Composers, Author's and Publishers, named Sleigh Ride by Leroy Anderson as the most popular classic holiday song worldwide in 2015. The ASCAP list of holiday songs is based on performance data tracked by the airplay monitoring service, Mediaguide, from over 2,500 terrestrial and satellite radio stations nationwide. According to ASCAP, the most popular artist version of Sleigh Ride is Leroy Anderson's own recording with the composer conducting a studio orchestra. ASCAP also named Sleigh Ride as the third most performed holiday song of the past decade. The data was compiled with the help of Mediaguide, the most comprehensive digital audio performance tracking technology in the world. "Sleigh Ride" is the only holiday song originally written as an instrumental piece for a symphony orchestra. The Boston Pops Orchestra gave the first performance in a concert conducted by Arthur Fiedler at Symphony Hall in Boston, May 4, 1948. Mills Music published it that same year. The Boston Pops Orchestra recorded it in June of 1949. Mitchell Parish added lyrics in 1949. To learn more about when and where Leroy Anderson wrote Sleigh Ride, visit the official website of the Leroy Anderson Foundation established by his family. The Swedish Radio Symphony Orchestra and Chorus under the direction of conductor Marit Strindlund presented a concert of classical Christmas music, Friday, December 18, 2015, at Bergwald Hall, Dag Hammarskjölds väg 3, Stockholm. "Sleigh Ride" and "A Christmas Festival" by Leroy Anderson were included in the program that was broadcast live on Swedish Radio channel P2. "Jauchzet Frohlocket Ur Juloratoriet," by Johann Sebastian Bach. Click on this link to go to the web page of Swedish Radio channel P2s archived recording of the Swedish Radio Orchestra and Chorus Christmas Concert 2015. Once the page opens, click on the blue bar titled "Lyssna" (Listen). Arenan Radio, the Swedish language radio station of Finland, broadcasted a program of Christmas seasonal music (julmelodier) on January 2, 2016. The program opened with "Sleigh Ride," composed and performed by Leroy Anderson conducting a studio orchestra for a 1961 recording. 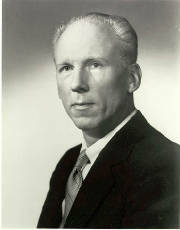 This hour long special radio program features Leroy Anderson, America's most popular light music composer, conducting and commenting about his many musical hits, including Bugler's Holiday, The Syncopated Clock and Blue Tango and 8 others from a 1972 concert with the United States Air Force Band in Washington, D.C. Also heard is Leroy Anderson conducting three of his works with the Purdue University Symphonic Band. 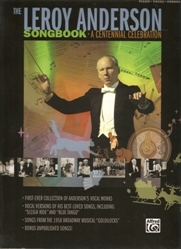 Leroy Anderson in Concert is produced and hosted by Kurt Anderson, the composer's son. Kurt said in the program that "This concert perfectly captures the musical wit and personal charm of Leroy Anderson since, except for the opening work, he introduces each of his compositions." This program was broadcast on 178 radio stations in 30 states and also in Australia in July 2011. These included the cities of San Francisco, Dallas, Atlanta, Philadelphia, Cleveland, Salt Lake City. In New York state 16 stations broadcast the program and in Pennsylvania 25 stations. The last work heard was an arrangement that Leroy Anderson made as a gift for Arthur Fiedler. 76 Trombones from The Music Man by Meredith Willson. Since Leroy Anderson never conducted this work it is performed with Kurt Anderson conducting The United States Coast Guard Band. "Leroy Anderson in Concert" is made possible by the Leroy Anderson Foundation. It is the fourth nationally distributed public radio program about the music of Leroy Anderson that has been aired since 1999. Orchestras and concert bands throughout the United States performed "Sleigh Ride", "A Christmas Festival" and other compositions by Leroy Anderson during the 2015-2016 Advent - Christmas - New Year's holiday season. New editions of Leroy Anderson's music have been published for orchestra, band and piano, including some works that are being made available for the first time. These can be found on the Published Music page on this website. High resolution photos and special video material are available to assist in the promotion and presentation of concerts featuring Leroy Anderson's music. For detailed information go to Photos page. Your help is needed! The U.S. Postal Service issues commemorative stamps each year to honor American citizens. The Postal Service has yet to recognize Leroy Anderson, a composer whose music has touched the lives of millions of people. It is important, too, to ask your Senators and Representatives in Congress for their support of this proposal, and to urge them to write the Citizen's Stamp Advisory Committee. The stamp committee would be appreciative if you would send a copy of your letter to the Leroy Anderson Stamp Committee, P.O. Box 447, Woodbury, CT 06798.